How and why do people make a decision to buy? Well, this is indeed a difficult question to answer as there are many different types of buyers. Some are impulse buyers and some are those who use a totally intense system and make a thorough investigation before making a purchase decision. The priority for an e-commerce store is to create a friction less experience for all its customers. This is how they can easily influence the buying decision of the consumer and ensure that the conversion takes place seamlessly. For that, you need to be aware of various stages of the purchase cycle and target customers accordingly. Here is a stage-wise breakdown of the customer purchase cycle. With so much information present on the internet, most consumers already know what they want to buy. This is the zero moment of truth for them, where they have partially made up their mind based on previous experience or research over the internet. They would either straightway search for the said product or click the particular product category on your ecommerce store. After landing on an ecommerce website, the consumer evaluates the products based upon the rating, pricing, and reviews by other users. 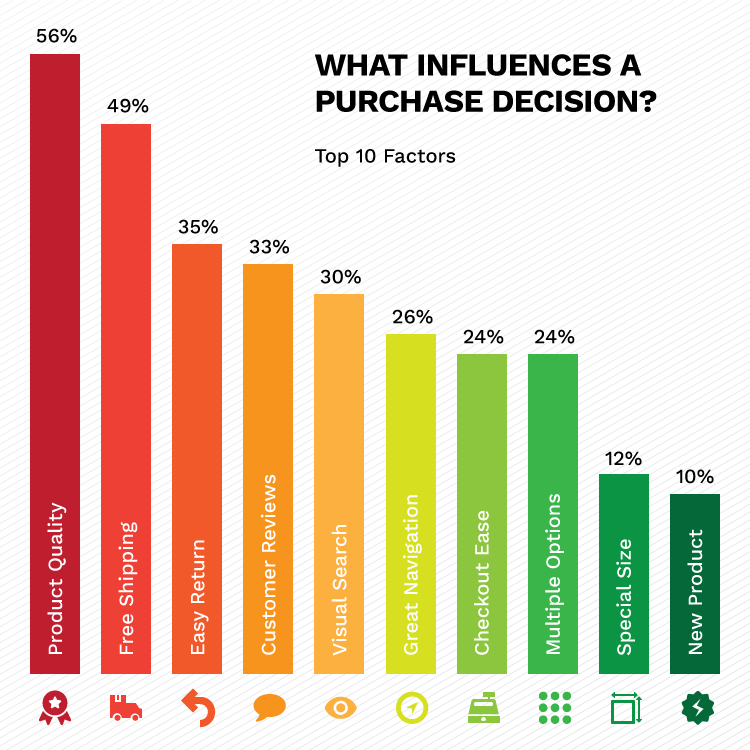 This is where you can start influencing customers’ purchase decision. A crucial point to note here is that this is the phase where website’s user experience also plays a crucial part in influencing the buying decision. The third phase of a consumer’s purchase journey involves making the purchase decision. This phase is central to how the consumers feel about the product, retailer and the website itself. If the product is good, pricing is right, the retailer is offering a good delivery option and most importantly, the user experience of the website is great, then the purchase decision would be positive. If any of these criteria is not fulfilled, the conversion might not happen. Generally, the moment a consumer clicks on the button “add to cart”, a timer starts and the more time the consumer takes to complete the transaction, the more are the chances for cart abandonment. Such customers tend to have a second moment of truth, where they ask themselves, “Am I making the right decision?” If the checkout process is tedious or you are not offering the payment option of their choice, you are allowing them to attain that second moment of truth. This ultimately may result into customer abandoning the cart and go to some other website to make purchase. From product browsing, comparison, selection to finally adding the product to cart, it all boils down to that final phase where the consumer clicks on that “make payment” button. The overall experience of the consumer during all the previous phases dictates whether the consumer makes the purchase or just moves on. It is crucial to note that by adding a “buy later” button, you can easily create a loop. This will not only minimize cart abandonment but also allow consumers to start from third phase next time they visit the marketplace to purchase. The purchase cycle does not end after the payment is made. At the end of the day, ecommerce marketplaces prefer repeat customers over one time buyers. From the time, the payment is made to the time product is delivered, several factors can hinder the conversion of one-time buyers into repeat customers. Also, the next time consumers come back to the website (at the zero moment of truth) the past experience will play a major role. 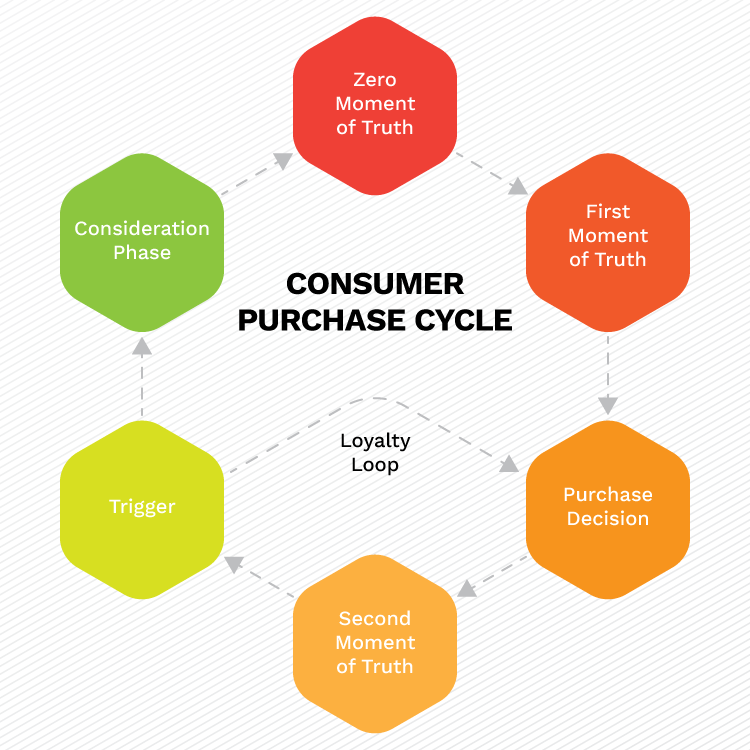 All these above-mentioned phases form a purchase loop of the consumer. It is crucial to note that a lot of factors are at play, which can ensure a smooth running of this cycle. Although each and every consumer is different, these factors play a pivotal role in the current dynamics. During all the above-mentioned phases, you as an ecommerce business owner can instill several strategies to ensure that the conversion goes through and consumers make a purchase. 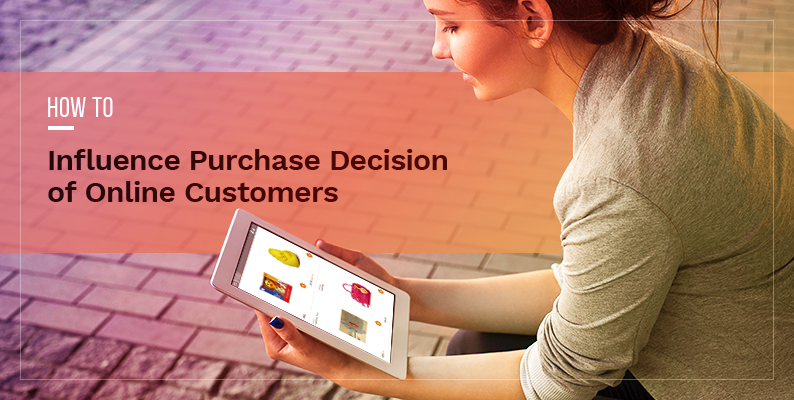 Let us take a closer look on how you can influence the customer purchase decision. The principle of reciprocity is a psychological principle based on the idea that we as humans feel obligated to pay back to those who do something for us. For example, if a consumer buys a big ticket item from a store, the store offers something back like free shipping, reinforcing the principle of reciprocity. Another way you can use this principle is by offering discounts and coupons to first-time buyers. Suggested Read: How to Attract Customers to your Ecommerce Marketplace? The principle of likability is based on the idea that humans are more persuaded to perform an action by those they consider “likable”. To make things clear – have you ever bought a product that has been endorsed by a celebrity you like? Chances are that you might have. And that’s how the principle of likability works. However, this does not mean that you hire a celebrity for your online marketplace. You just need to come up with an idea that makes your product/service appear desirable by masses. One of the biggest triggers in the ecommerce arena nowadays is word-of-mouth. People tend to incline towards the websites that are recommended by other users. How often have you walked into a restaurant filled with people, thinking the food is probably good as there are so many people? The idea behind the principle of trustworthiness is same here. User reviews and testimonials do a great job in enticing people into making a purchase. This principle has been in practice for a long time, wherein brands create a sense of scarcity or limited availability ensuring it becomes attractive for buyers. When a consumer thinks they might miss out on something they tend to immediately act on it. As an ecommerce marketplace, you can regularly have limited period offers, which would instill a principle of scarcity and influence customers’ purchase decision. This principle states that people are more likely to take actions on things that are familiar to them. Humans have a deep connection with consistency and sometimes change is surely not welcomed. For ecommerce marketplace, this is highly crucial as many stores do not follow a consistent design throughout their website. This is prominently visible when a consumer lands on the checkout page. Therefore you must always ensure that the design that you choose for your website is consistent throughout. In the end, it is all about ensuring that the consumer sticks to your platform and make the purchase. Not only that, you also want consumers to come back and make repeat purchases. By ensuring that the above-mentioned principles are implemented across your website you can guarantee that the purchase cycle of the consumer will complete and repeat itself every time. 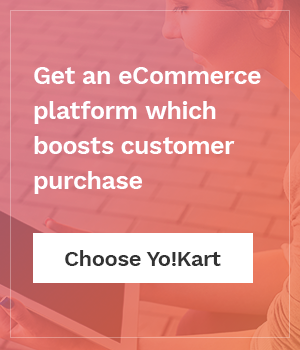 Is your ecommerce marketplace unable to convert?